When the POST program was first introduced in 2007, the intent was for contractors doing work for major oil companies to have the convenience of having to follow one consistent safety standard when working on petroleum sites; specifically when doing work for more than one oil company. With the support of the oil companies and industry, POST is now widely used across Canada. Contractors use POST as their standard safety program regardless of customer (i.e. major oil, independent etc.) and many companies have adopted POST safety standards to fill gaps within their own programs, replace their outdated program or adopt fully because no such safety program existed within their company that was specific to the work they do. 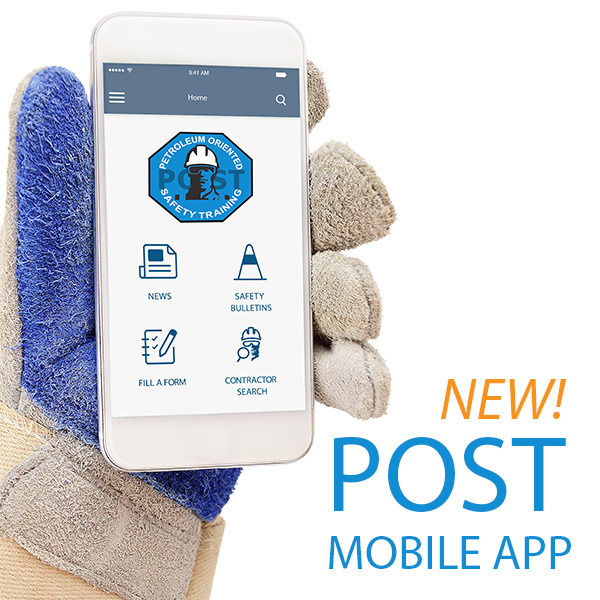 POST has continual communication with our community and also provides additional benefits such as a free listing on our POST contractor database and additional tools for contractors. We also update and test new standards every year. For example, in 2014 the POST committee overhauled several of the critical procedure checklists, then piloted them with key contractors before introducing them to the rest of the POST community. We then conducted surveys of the new documents in order to gather feedback from contractors and workers. We also negotiated significant discounts on other online safety training such as WHMIS, Fall Protection, H2S and Lockout/Tagout through our training partner Worksite Safety. While the base of the orientation is similar year to year as it wouldn’t make sense to completely overhaul the standards every year, however we try to keep things fresh such as adding new content, questions and / or activities to the POST online orientation. In 2015, we launched POST Level 2, a course geared towards supervisors which contains the basic POST requirements with additional enhancements on JSAs, JSA evaluations, Planned Job Observations, PPE, just to name a few. As this is a “behaviour” based program, the POST committee which includes representatives from the major oil companies and industry contractors agreed a refresher was needed every year to ensure everyone working in our industry was on the “same page”. In keeping with the importance of constant communication with our POST community, it was a decided the natural progression would be to develop a POST mobile app. 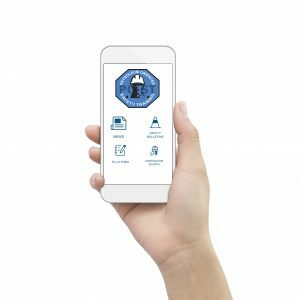 The Ontario Petroleum Contractors Association, administrators of POST, gauged the interest of a mobile app at their annual conference in 2015. Feedback was generally positive, especially from contractors who utilized mobile technology already. As the OPCA did not want to rush into this venture, they took the time to focus on the development of the app features. The intent of the app is to be an extension of the POST portal site with addition of online form completion capability for the POST documents. Companies would then save their forms to their own cloud servers. 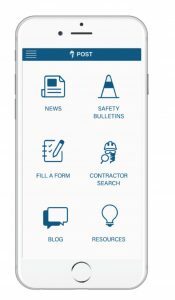 The apps landing page will display icons of the available options for users including access to safety bulletins, contractor searches, latest news and the mobile forms. Users will also receive notifications for any updates from POST which ensures they are always on top of the latest industry safety news. The mobile app function is very user friendly and will be available on both Android and IOS devices. We feel the POST program saves contractors time and money as they only have to follow once safety program rather than keeping track of several if working for more than one oil company. Not only that, many companies have indicated to us that POST has improved their company’s safety culture. We are also working to promote the POST standard to independent oil companies with the goal to have a “level playing field” for all contractors regardless of the oil company they are working for. We are proud to say since POST was introduced to the industry, oil companies have reported a decrease in their incident statistics and have attributed this to the POST program. The POST program has evolved significantly over the past several years and could not have been accomplished without the support of the oil companies, the involvement and dedication of the POST advisory committee and most importantly the support of the industry that utilize the program. With our mandate of keeping our industry safe we hope to continue to provide this program and constantly improve it to make it the best resource for the POST community. The POST Mobile App is coming this spring…stay tuned!